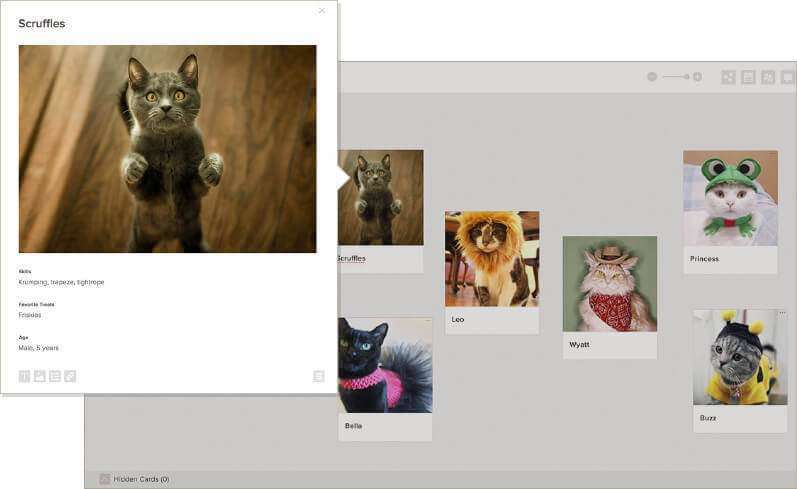 Inspired by sticky notes on a whiteboard, Cardsmith is a versatile, online tool for visual collaboration. With Cardsmith, you can quickly create visual systems that work the way you want to work. Finally, a tool as nimble as your team. We’ve translated the best of sticky notes – their familiarity, immediacy, versatility – to an online environment. Your team no longer needs to waste time wrestling with a cumbersome tool, so they can focus on the work that they want to do. A wide open space to brainstorm. A beautiful, simple, clean space to get all those ideas out of your head and into a visual reality. It’s simple: just start by making a card on a board. Everyone on the team can share ideas, anytime from anywhere in the world with a tool that is instantly familiar. With real-time collaboration, all changes are immediately seen by the team. Flow from ideas to action. Immediately after brainstorming the team can move to organizing their ideas or go straight to creating a plan. The building blocks are in place to craft the best visual framework for the work at hand. That might be a Kanban board, a scrum board, a monthly or quarterly plan, or a project overview board. Quickly move from the big picture to the fine details. Zoom out to get an overview. Capture at a glance what you need to know. Open a card to get the specifics. Change from freeform view to grid view. Cardsmith works the way you think. Add in complexity only as needed. Cards are at the heart of Cardsmith. Customize cards to track what your team cares about: add text, lists, images, and links to any card. You can use color and icons to communicate status or excitement about an idea or issue. Map out what’s in (or on) your mind. Cardsmith makes it easy to create mind maps, concept maps, story maps, and whatever unique work flows and processes that you want to communicate with your team or clients. Or even just yourself. 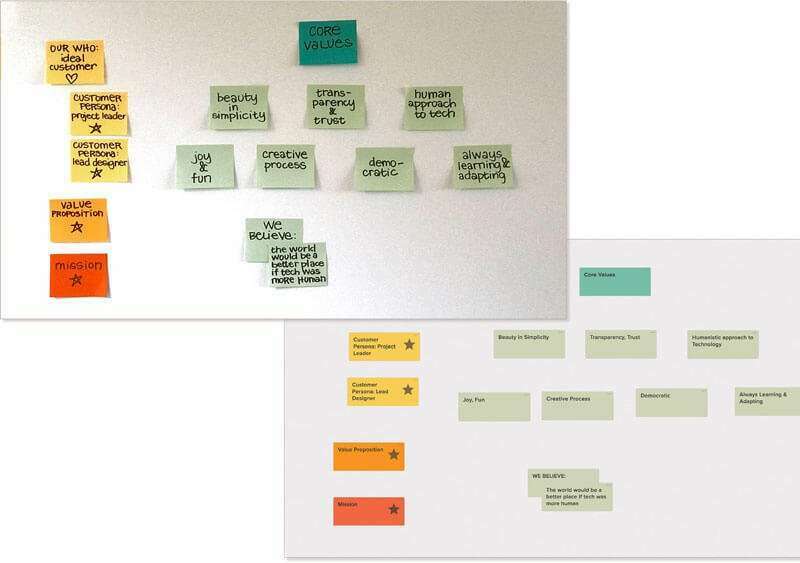 For more on this topic, check out how one of our customers used Cardsmith to create a story map. We enthusiastically support Kanban, Scrum, Scrumban, Scaled Agile and other processes that help teams get more done faster, better, easier. 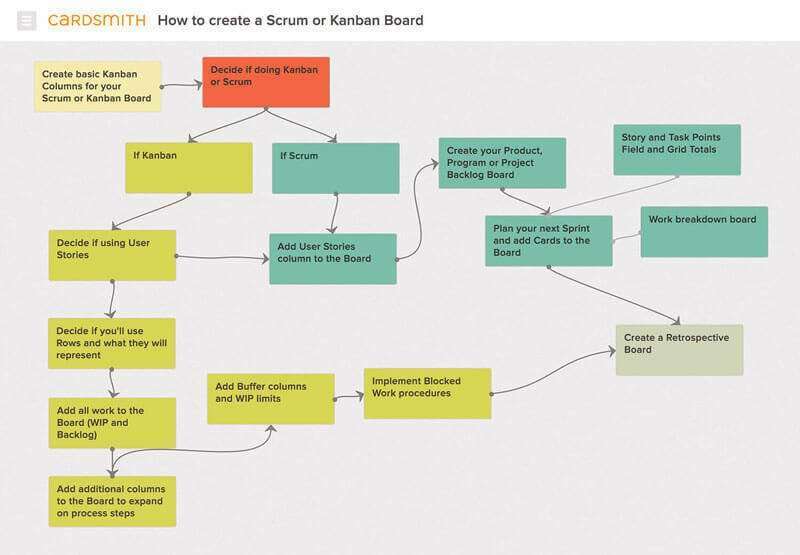 To find out more, check out this post on How to build a Kanban or Scrum board.